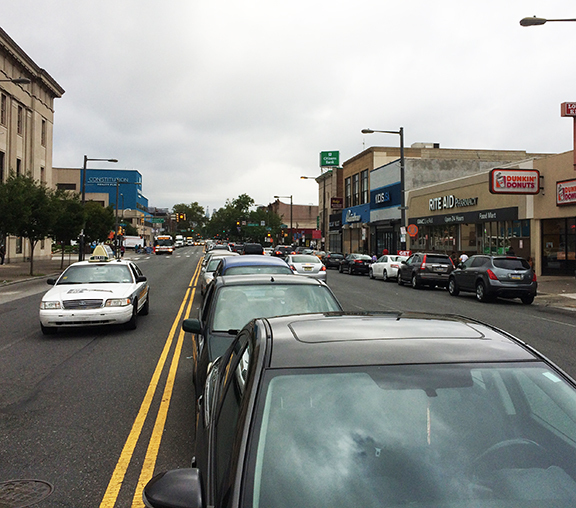 Should cars be allowed to park down the middle of Broad Street? The long-debated question rarely moved beyond a heated Facebook debate, but now there’s a lawsuit against the Philadelphia Police Department and the Philadelphia Parking Authority to end the practice once and for all. What better time to kick off the 13/15 Neighborhood Bikeway Project than during Bike Month. 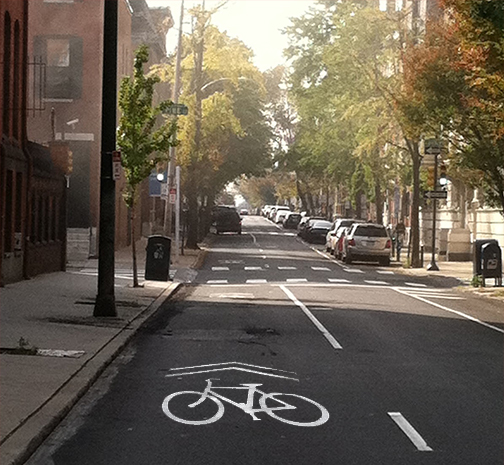 The 13/15 Neighborhood Bikeway Project is a north/south pair of priority bicycle streets between Center City and South Philadelphia, from Oregon Avenue to Market Street. The new bikeway treatment includes signage and pavement markings to indicate priority for bicyclists over vehicles. This project will not result in a loss of parking or vehicle lanes, but will send a clear reminder to drivers that bicycles may use the full travel lane. 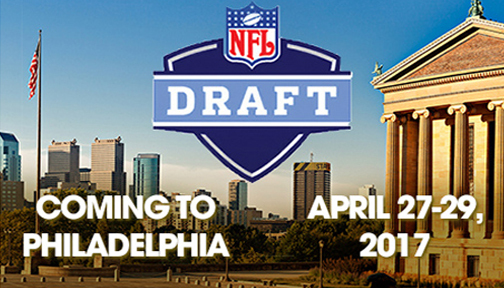 Next week is the 2017 NFL Draft which, if you didn’t already know, is taking place in front of the Philadelphia Museum of Art. With an expected 200,000 fans coming through, road closures and parking logistics for area residents have been a nightmare. But the City of Philadelphia has a solution. 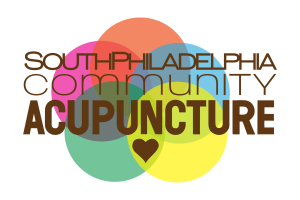 Let them park in South Philly!